Plenty of people are intelligent and have the right qualifications. But in business, to be successful, you also have to be smart and creative. This book contains 60 pieces of distilled wisdom to help you think smartly and creatively, and to enable you to stand out from the others. By the author of the bestselling The Diagrams Book (12 languages licensed), each piece of advice can be read in one minute or the entire book in one hour. Divided into six main sections (Growth, Communication, Innovation, Creativity, Relationships and Thinking, this powerful little book draws from a range of disciplines and perspectives to enable readers to transform the way they approach work and life. A savvy and practical guide to help you stand out at work and in your career. 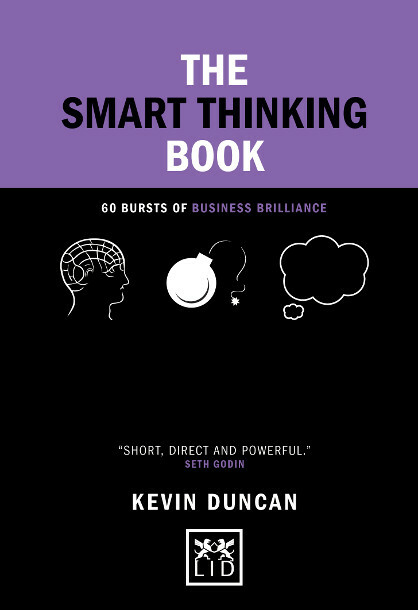 ● Contains 60 original and proven ideas to enable anyone to be smarter and more creative. ● “Short, direct and powerful” – Seth Godin, bestselling author and business guru. ● “Smart thinking” has become a new “self help” especially in business. ● This book has the potential to become a cult business seller, and follows on from the success of The Diagrams Book and The Ideas Book.